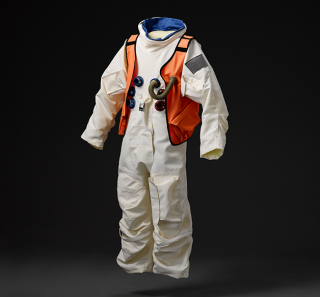 Win the Spacesuit Worn by Dos Equis' 'Most Interesting Man'! Space.com teamed up with Dos Equis to offer a chance to win a spacesuit worn by the beer's "Most Interesting Man in the World." In an exclusive contest through Space.com, Dos Equis is giving away a spacesuit worn by the company's "Most Interesting Man," who "left for Mars" in one final commercial last month. The star of the long-running Most Interesting Man commercials, Jonathan Goldsmith, retired last month, and his character's send-off featured a one-way trip to the Red Planet on a NASA Space Launch System-like rocket. And luckily for his many followers, he left a spacesuit behind. "Giving our fans the opportunity to possess artifacts [that] the Most Interesting Man collected throughout his extraordinary experiences is a perfect way to toast and commemorate this cultural icon," Andrew Katz, vice president of marketing for Dos Equis, said in a statement. "This is just another way of reminding our loyal fans to live like the Most Interesting Man, seeking culture and adventures, with a 'stay thirsty' mind-set," Katz said. There are more than 25 other items up for auction on Dos Equis' website, including a Spanish guitar (complete with a matching mariachi suit) and a tuxedo that the Most Interesting Man wore to his last masquerade. One fan will also get an all-expenses-paid week-long trip for two to an hacienda in Mexico. To participate in that auction, fans must be at least 21 years old and must live in the United States. The auction runs through June 30 at 11:59 p.m. EDT. Fans who visit the site daily for bids and other activities will have more chances to win. Some cities are also featuring the items in a Coveted Collection Estate Auction Tour. Starting April 18 and running through May 5 (or cinco de mayo), the tour has planned stops in Dallas; Austin, Texas; Houston; Albuquerque, New Mexico; Phoenix; and Los Angeles. All proceeds from the auction will go to two charitable projects from the Impact Plan — one to rehabilitate endangered animals in East Africa and another to rebuild Himalayan villages that were damaged after an earthquake in Nepal in 2015. Follow Elizabeth Howell @howellspace, or Space.com @Spacedotcom. We're also on Facebook and Google+. Original story on Space.com.